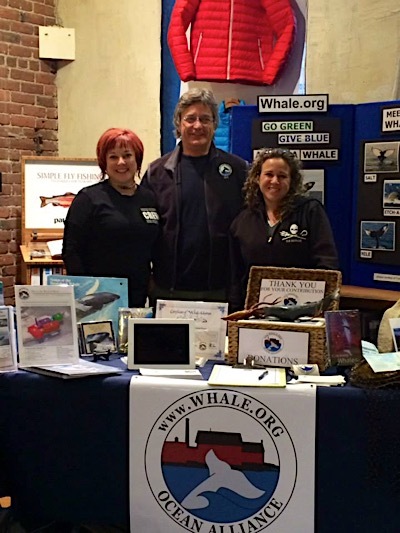 7 Seas Whale Watch has partnered with Ocean Alliance, one of the world’s most renown whale and dolphin conservation organizations. 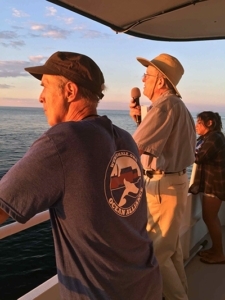 Now 7 Seas Whale Watch naturalist guides, along with Ocean Alliance, can provide our passengers with an opportunity to learn about the whales and marine wildlife from the best team of scientists, researchers, and educators anywhere in New England. ‘home port’ Their new headquarters at the former Gloucester Sea Jacket Marine Paint Factory building (a nationally registered historic landmark) can be seen across the channel from our dock at 7 Seas Wharf. Our partnership with Ocean Alliance supports our commitment to the protection of whales, dolphin, and marine wildlife through research and world-class educational programs.